Dallon Weekes, long time Panic At The Disco bassist and one of the songwriters/ lyricists behind that band’s certified-Gold release Too Weird To Live, Too Rare to Die!, announces a global recording agreement between his I Dont Know How But They Found Me (IDKhow) project and Fearless Records. 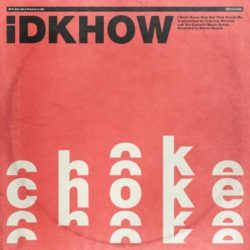 First up is today’s official release of the double A-side single “Choke” and “Do It All The Time,” its initial 2017 social media and TuneCore limited release, “Choke” accrued an astounding 5.7-million YouTube hits and 5.3 million Spotify streams, based solely on fan reaction and word of mouth; “Do It All The Time” makes its worldwide debut today. “I Don’t Know How But They Found Me,” a piece of dialogue from the ’80s classic sci-fi film “Back To The Future,” is a musical entity with a conceptual backstory: a band from the late 1970s/early 1980s that got its start on a popular cable access talent show only to have its songs and music videos completely disappear, and fade into obscurity. And now, thanks to the advent of the Internet, IDKhow is seeing its performances and recordings being rediscovered – for the first time – by a world that finally just might be ready for them. “I was in the middle of making a record when I came across this series of old cable access talent shows from thirty-something years ago,” Weekes explained. “It was this bizarre, low budget parade of the strangest people, and I couldn’t stop watching it. I wanted to be on this crazy show, which was of course impossible. That’s when the concept of ‘I Dont Know How But They Found Me’ began. 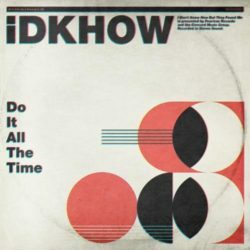 “Do It All The Time,” Weekes’ critique of the very popular “Do What Thou Wilt” philosophy that seems all too common today, is a brand new track, never even performed live, that was recorded in Los Angeles last month. “Choke” was recorded at Weekes’ kitchen table in 2016 and subsequently remastered for today’s release on Fearless. With a nearly non-existent budget, the recording was forged in large part by friends who made necessities like recording equipment available to Weekes. IDKhow live performances followed with Weekes enlisting professional drummer and longtime friend Ryan Seaman to play in secret around Los Angeles. As word got out, the duo would deny any involvement in the band, and would deny it even existed at all. This secret ‘deny everything’ policy quickly made each of their officially unannounced shows near-instant sell-outs. 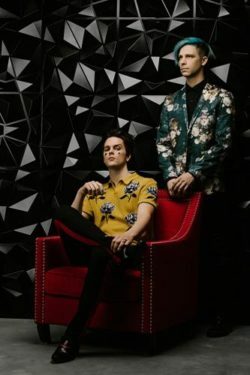 With an initial seeding of the project to Weekes’ half-million Instagram followers, IDKhow has accumulated a combined eight-million+ views on the IDKhow YouTube channel and 7.5-million combined Spotify plays. Beginning tomorrow, IDKhow makes its first-time appearances at the Reading Festival and then the Leeds Festival, which will be followed by a handful of select headline shows in London, Manchester and Glasgow. Dates are below. A North American tour slated for later this year will be announced shortly.